NOTE1. 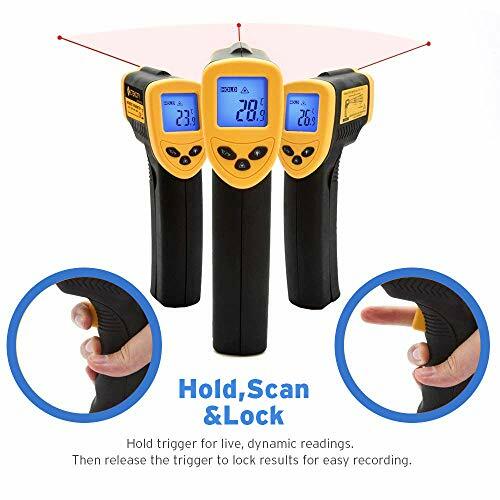 The measuring surface is about 2cm below the infrared aiming point. 2. 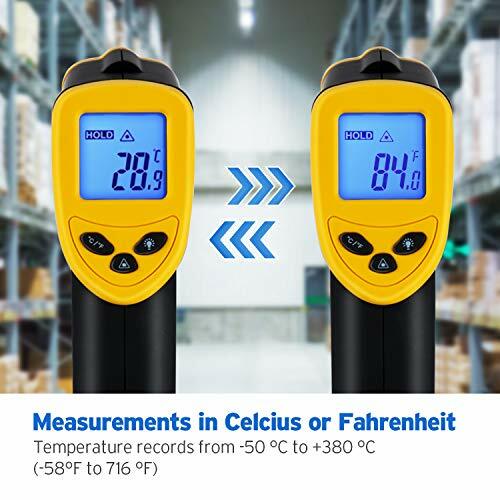 For best accuracy, the distance between the thermometer and object of measurement should approximately be 14. 17inches (36cm). 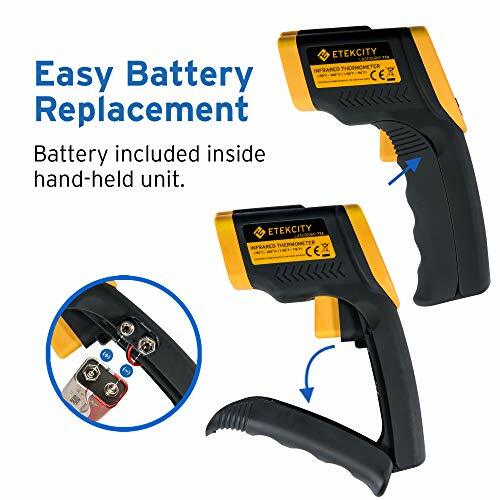 Etekcity Laser grip 774 Thermometer guns have been used by major airports and security offices during the 2014 Ebola outbreak. Laser Guided Aim with precision at whatever you wish to measure, thanks to the laser beam guidance feature. Even from a far distance, the laser provides a mark to ensure accuracy every time you make a measurement. 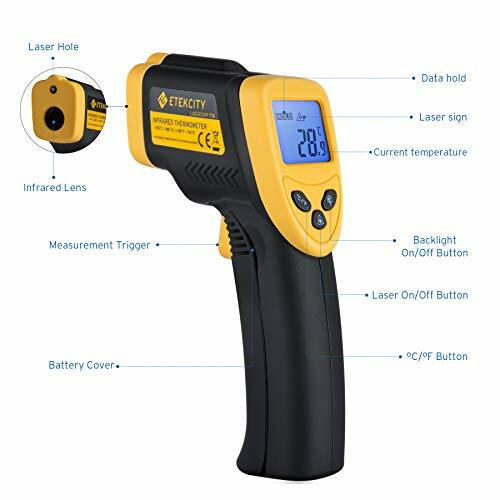 Infrared Lens The Infrared lens inside the Laser grip 774 Thermometer provides temperature readings without the need to touch or come close to anything dangerously hot or cold. 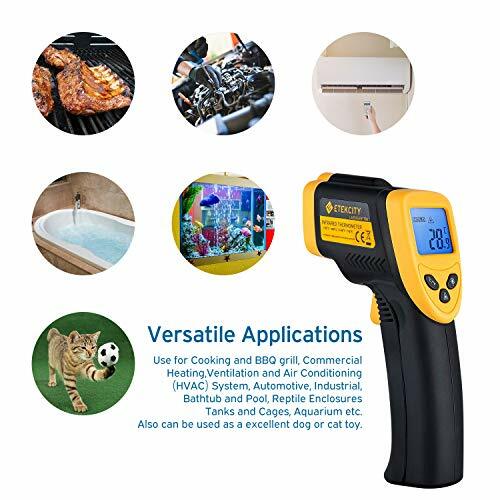 You'll be able to effortlessly measure high temperatures, hazardous and inaccessible objects, and even moving targets; such as hot engine parts, cooking surfaces, swimming pools, bath water, wine coolers, hot asphalt, electric bearings, and much more. 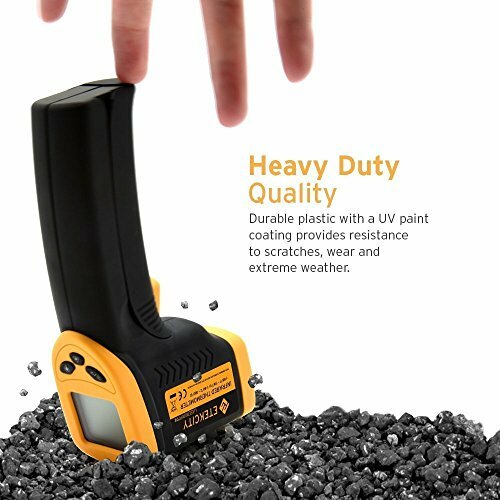 Specifications Temperature Range: -50℃ ～ 380℃ (-58℉ ～ 716℉ )Accuracy: 2% or 2℃ Distance Spot Ratio: 12: 1Emissivity Adjustable: 0. 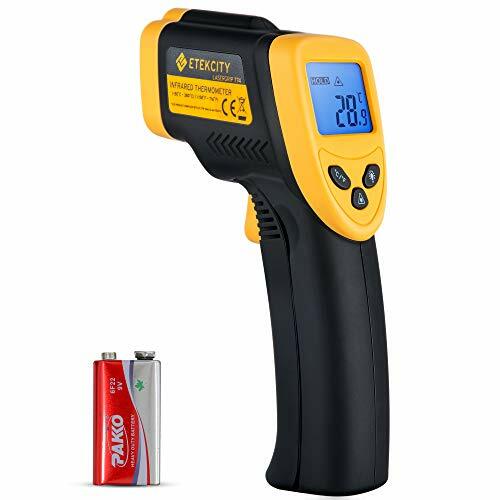 95(fixed)Response Time and Wavelength: Package Included 1 x Etekcity Non-Contact Infrared Thermometer1 x 9-Volt Battery1 x User's Manual2-year for free by Etekcity .